Vitry Nail Care Magic' Touch Nail Polish Remover, takes off all nail polish types in few seconds! 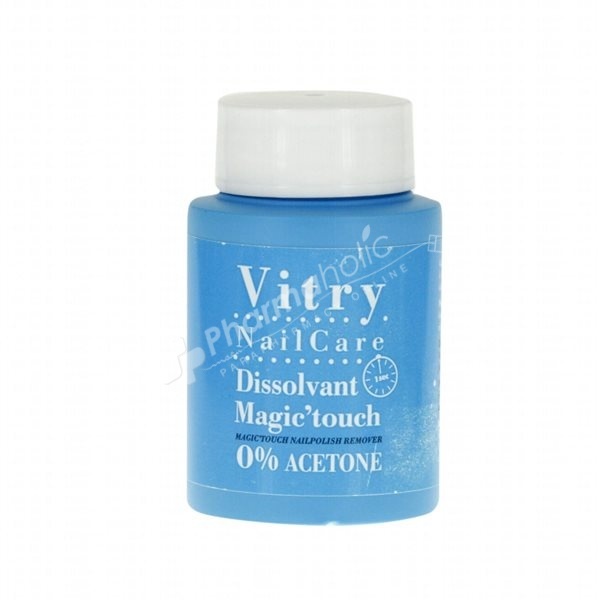 The dissolving Magic'Touch Vitry is acetone-free , allowing to remove nail polish without cotton and very fast! Pot containing a foam soaked remover in there sliding the nail, and it eliminates a few seconds all types of nail polish. Dip your finger in the dissolving Magic'Touch turn the finger in the foam for cleansing the nail.